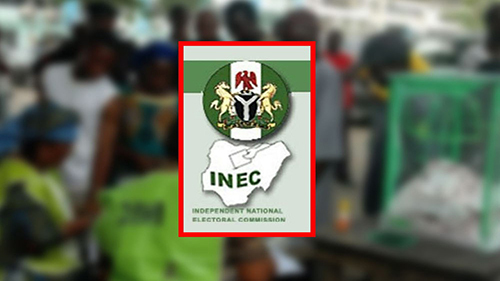 AHEAD of the 2019 general election, the Independent National Electoral Commission (INEC), has said it will partner the business community in Enugu State to ensure a free, peaceful and credible election. The Resident Electoral Commissioner (REC) in the state, Dr. Emeka Ononamadu, made the disclosure yesterday during INEC’s maiden meeting with major stakeholders in the business community. Ononamadu said Enugu State business community had a high stake in elections, as outcomes of elections or governance affect businesses directly or indirectly. “If there is any tension in the land during election as an outcome of irregularities and disagreements, the business community suffers the impact most and if it is in the reverse where there is credible election and good governance, the business community benefits most. “It is in the best interest of INEC to expose and enlighten the business community on its roles to support INEC to ensure a credible and smooth election. “For instance, the commission needs the business community in the area of transportation of its staff and materials on time on the D-Days of the elections. “We also need the business community to mobilise their members to register in the ongoing Continuous Voters Registration (CVR) exercise and collection of their Permanent Voters Cards. “They should equally come out en masse to vote and abstain from current negative trend of vote- buying and vote- selling,’’ he said. Ononamadu noted that INEC had taken its advocacy and CVR registration to banks, markets, communities and other public places in the state to ensure it carried everybody along in the electoral process leading to the 2019 general election. In a separate remark, the Director General, Enugu Chamber of Commerce, Industries, Mines and Agriculture (ECCIMA), Emeka Okereke, commended INEC for being pro-active and doing wider consultations ahead of the election. “I believe this wider consultation with various stakeholders will bear fruit and make the electoral process and election more acceptable, credible and hitch-free, as each individual, group and stakeholder understand his role and play it faithful,’’ Okereke said. The state Chairman of National Union of Road Transport Workers (NURTW), Chief Matthew Asogwa, said his union had been working hand-in-hand with INEC and would continue to partner the Commission.